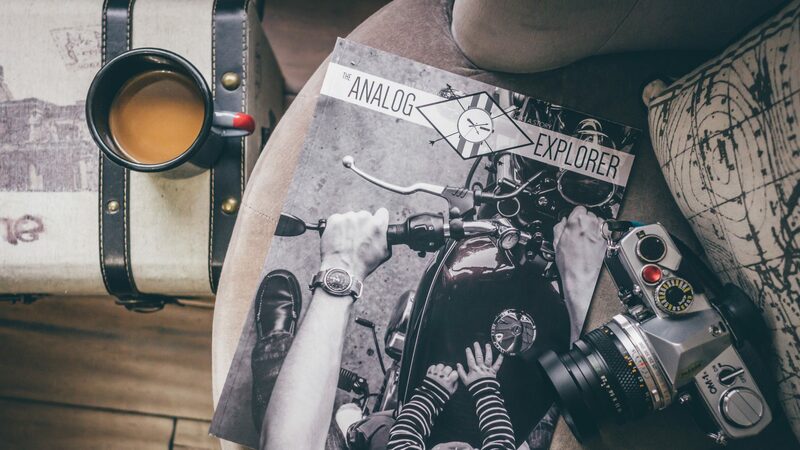 After months of drafts, editing, and countless pages of print tests; I am excited to announce The Analog Explorer magazine! A unique publication blending my zeal of photography, travel, and of course; time itself. A 20 page volume, premium printing, and available through a direct printing service Blurb. Thank you everyone for the overwhelming support! To everyone who supported this first “Skookum” printing of the Analog Explorer- THANK YOU! The Analog Explorer Vol.1 (regular edition) If you missed out on getting one of the limited signed Skookum editions, but still want to get … Continue readingSkookum Edition SOLD OUT! DGR 2018: Rejoining the Gentry in Vancouver BC. I have had several friends who have had their battles with cancer. Colleagues who have felt the loss of a loved one from suicide, because of hidden mental health issues. Their stories lead me last year to join “the gentry,” of the Distinguished Gentleman’s Ride, … Continue readingDGR 2018: Rejoining the Gentry in Vancouver BC.